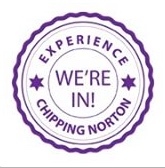 ← Chipping Norton hospital beds – Your views wanted! This month – It’s the bumper 40-page Christmas issue! Grab it at the usual outlets now for only 50p!